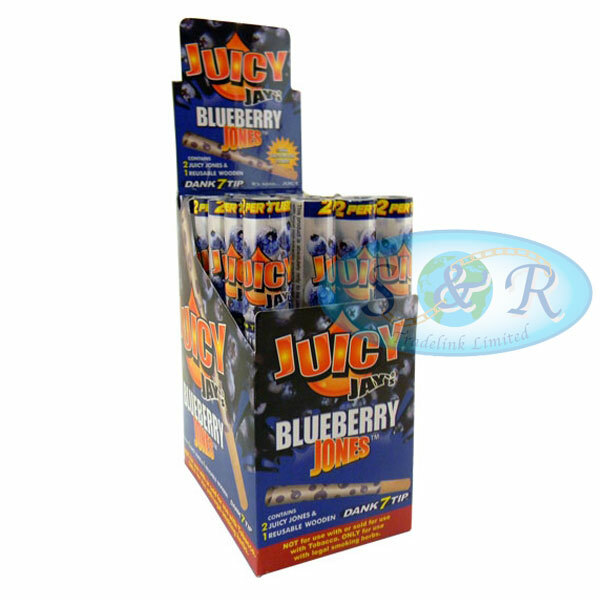 Juicy Jays Pre-Rolled Cones, made from Juicy Jays triple dipped flavoured paper, printed with Soy Ink. Dank 7 Tips are soaked for 7 Days for a full flavour, time after time, as used in Cyclone Blunts. Each Pack contains 2 Flavoured Paper Cones and one wooden Tip, packaged in a see-through tube. Dank 7 Reusable Wooden Tip. Come in a great range of Flavours.